Skin made to order ... on a printer? 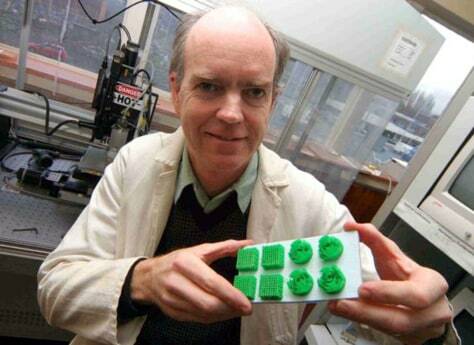 The University of Manchester's Brian Derby holds magnified tissue scaffolds that new skin would grow on. The actual scaffolds have cell sizes of 3 millimeters and would be clear instead of green. Derby and his team are experimenting with different scaffold shapes.